Changing dentists can be distressing, particularly if you have been treated well by your previous dentist. Now you’ve relocated your family to Aledo. 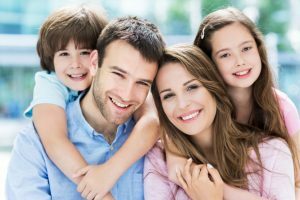 What questions should you ask a prospective family dentist? Education and credentials are important criteria in selecting your dental care provider. So, do some online research. Contact your local chapter of the American Dental Association, or visit www.mouthhealthy.org for names of ADA member dentists and their specialties in your area. Check the dentist’s qualifications on the practice website, or look at online review sites such as www.healthgrades.com. A+ ratings with consumer advocacy organizations such as the Better Business Bureau indicate good work and communication with patients. About continuing education credentials. Peer study groups and membership in professional organizations such as the American Academy of Cosmetic Dentistry keep dentists accountable to each other and develop the latest in skills. About the qualifications and experience of the support staff. Continuing education is important for hygienists and assistants, too. Regarding skills, does the doctor offer a wide range of modern dental treatments, and if so, what are they? The best dentists emphasize preventive care–hygienic cleanings, exams, plastic sealants, fluoride treatments–on a regular basis. So, find out how often your prospective Aledo family dentist expects to see you and what comprehensive exams include. Your care should include oral cancer screenings and checks for TMJ dysfunction and sleep apnea. Can you help my teen with orthodontics? You want lasting oral health and a smile you can confidently show to the world. Those are the goals of Dr. Deborah Romack and Dr. Garrett Mulkey at Cosmetic & Family Dentistry in Weatherford, TX. They handle the simplest to the most complex of dental procedures, including sleep dentistry and orthodontics, all under one roof. Contact the office staff to arrange a personal consultation. The dentists will be happy to answer all your questions regarding their practice. You may find your new Aledo family dentist! by: Dr. Deborah Romack at May 6, 2016 .